St. Mary's church in Oshkosh is my favorite in all of Oshkosh. This cathedral like church has the best natural light of any church I have ever photographed weddings at. There is no comparison. Look how bright it is and that rich golden background. 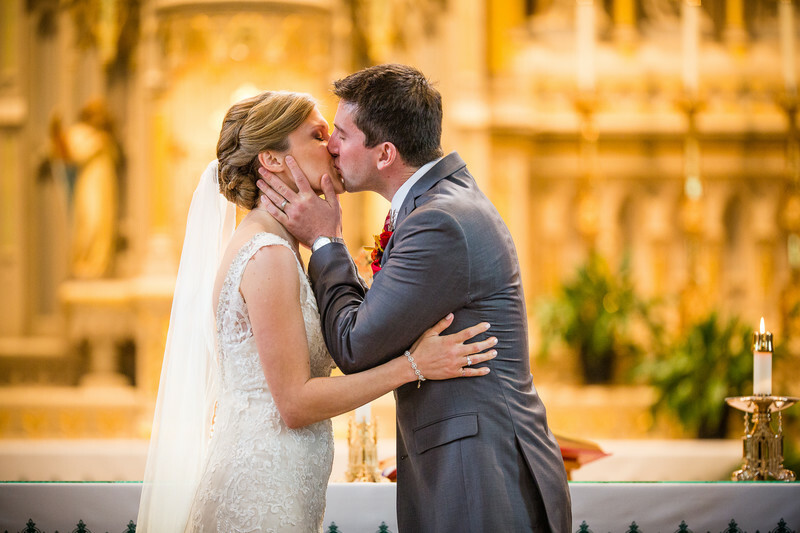 This is their first kiss and I love how the groom embraces the bride. 1/250; f/2.0; ISO 2000; 200.0 mm.